Divinyl Lp Cleaner is a balanced compound made up of deionized water, polymers, isopropyl alcohol, antistatic agents and nonionic surfactants. 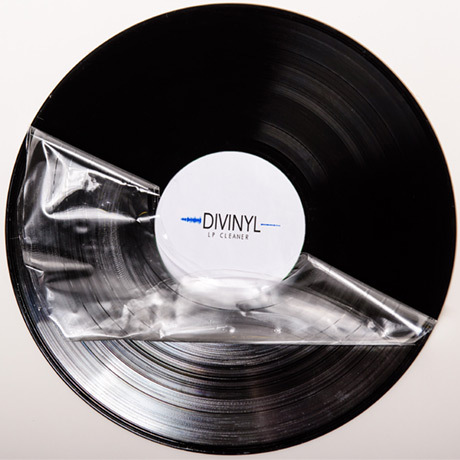 Divinyl LP Cleaner is a viscous polymeric compound that’s easy to apply; Just pour a small amount onto the record (avoiding the label) and, using a small card, simply spread the product in a circular motion until a homogenous layer is formed. Drying time varies according to room temperature, ventilation and humidity; On average, 4-8 hours in temperatures comprised between 19 and 21 C°. Divinyl Lp Cleaner cannot remove or repair scratches that have damaged the grooves of the record. In some cases records in poor or average condition may suffer from embedded in particles that may be difficult, if not impossible, to remove completely, therefore some clicks and pops may still be audible. Don’t remove until completely dry. To remove, gently peel the film from the record starting from the outer edge. Your record is ready! All the material that was once stuck on its surface is now attached to the polymeric film leaving the microgrooves clean as never before! Enjoy your favourite record and rediscover those frequencies that had gotten lost under years of tough-to-remove dirt! Good listening! Please remember that recording quality has a huge impact on sound. Old records in particular might have a natural hiss which is impossible to eliminate. It’s part of them!